SLEEP TESTED for back sleepers or medium body types. 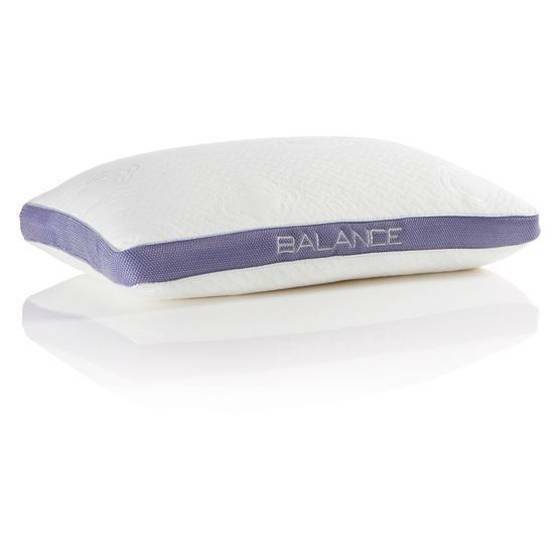 Balance’s “shock absorber” BOOST™ suspension foam cradles your head, neck and shoulders and conforms to support your sleep position profile, providing smooth motion performance to eliminate pillow bounce and alleviate pressure points, ensuring deep sleep. Maximum recovery is guaranteed with our temperature regulating Dri-Tec® fabric and ventilated Air-X® panels for enhanced airflow. SIZE - Personal Performance 20" x 28"